Walk through downtown Chicago and you’re more than likely to come across something built by F.H. Paschen, S.N. Nielsen. The construction company, founded in 1975, has touched nearly every aspect of infrastructure in the Windy City – from CTA stations to airports to hospitals. But, the company’s philanthropic impact on the city is just as great as its physical presence. President and CEO Jim Blair attributes this to the tradition of giving started by the company’s founder, Frank H. “Bud” Paschen, whose great-grandfather began building in the city after the Great Chicago Fire, and grandfather and great-uncle founded Paschen Brothers Construction Company in 1902. F.H. Paschen supports a range of charitable organizations and has well-established mentorship programs for minority and woman-owned businesses, and a future engineer program for Chicago Public School students. Cancer research is also at the top of the list for very personal reasons. In February 1996, the son of Bud’s first employee was diagnosed with leukemia at the age of three, and passed away just six months later. Bud and F. H. Paschen began giving to the Leukemia Research Foundation in the family’s honor. Then, in 2014, Bud himself was diagnosed with leukemia and sought treatment from Michael Thirman, MD, at the University of Chicago Medicine. While undergoing treatment, Bud and his wife, Dianne, gave $25,000 to establish the Thirman-Paschen Fund in support of leukemia research. They gave an additional $50,000 shortly before Bud passed away in December 2016. Jim and his wife, Donna, have honored Bud’s legacy with gifts of their own, donating a total of $50,000 to the Paschen Fund in the past two years. “We wanted the opportunity to try to make a little difference in the world,” Jim said. 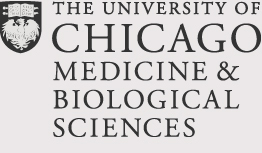 The Blairs were particularly inspired by a visit to UChicago Medicine, where they toured Dr. Thirman’s lab. Seeing the research process up close gave them a great appreciation for the work that happens behind the scenes, and the financial support needed to turn breakthroughs in the lab into the newest treatment options.